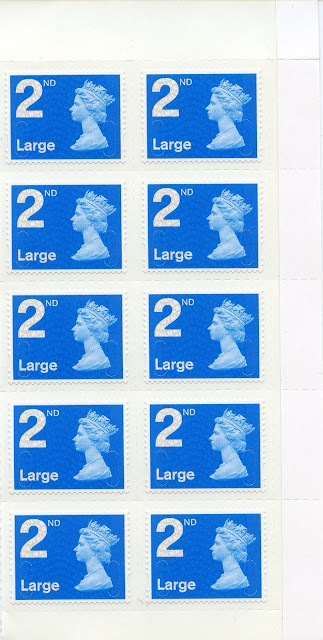 Another Machin definitive stamp 2013 printing discovered. 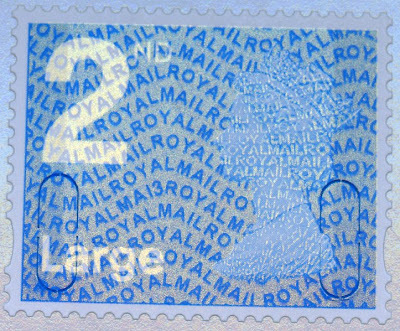 The 2nd class Large stamp printed by De La Rue in counter sheets made its appearance in at least two different parts of the country yesterday. Thanks to Richard for the images below. My PO branch still has MA12 stock, but these are MA13 stock - and as with the other values so far available, has no printing date or sheet numbers. Right hand side of lower pane on the sheet showing no inkjet printing.